We get to see it EARLIER! ‘Avengers: Infinity War’ now releases on April 27, 2018! 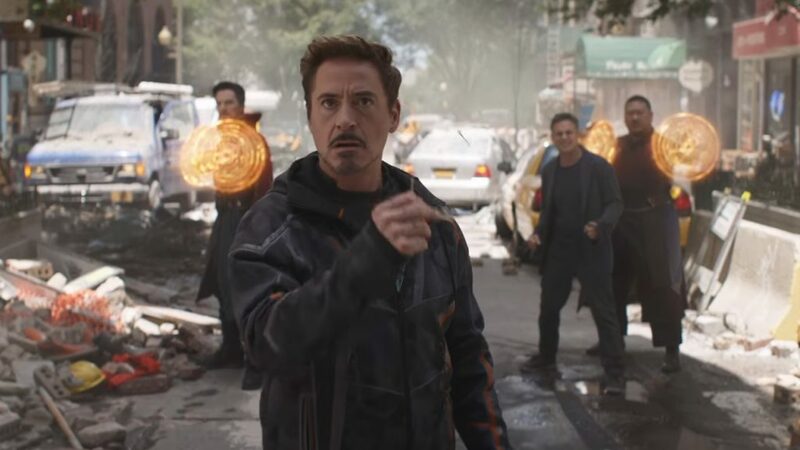 Tony Stark wants an earlier release? DONE! 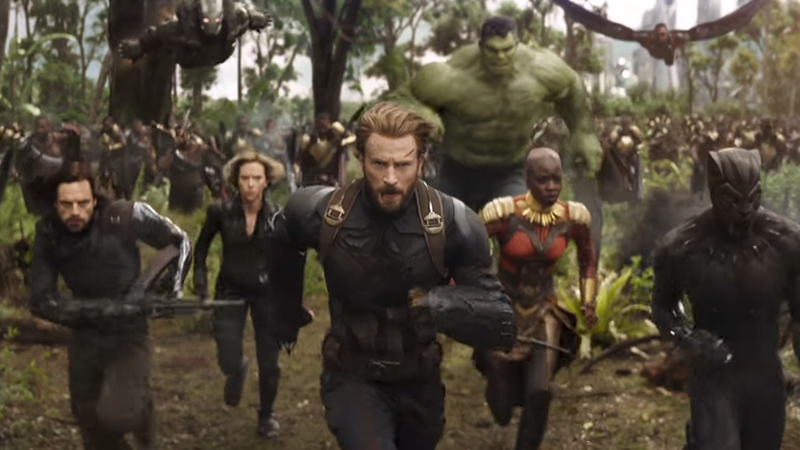 Just a few hours ago, Marvel Studios released a HUGE announcement revealing that ‘Avengers: Infinity War’ is now getting an EARLIER GLOBAL RELEASE DATE than what was previously announced – from May 4 to April 27! That’s ONE FULL WEEK EARLIER than expected. The reveal was done via Twitter in probably one of the best ways possible. 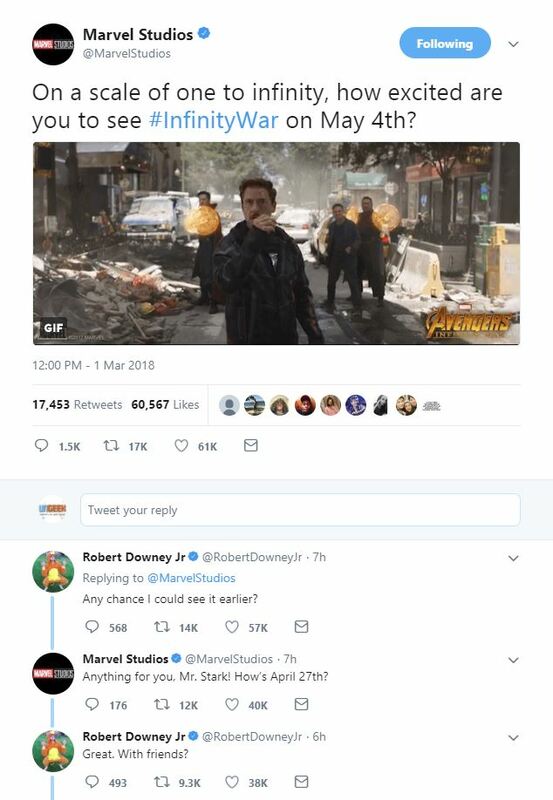 It started with a tweet from Marvel Studios asking ‘On a scale of one to infinity, how excited are you to see #InfinityWar on May 4th?’. 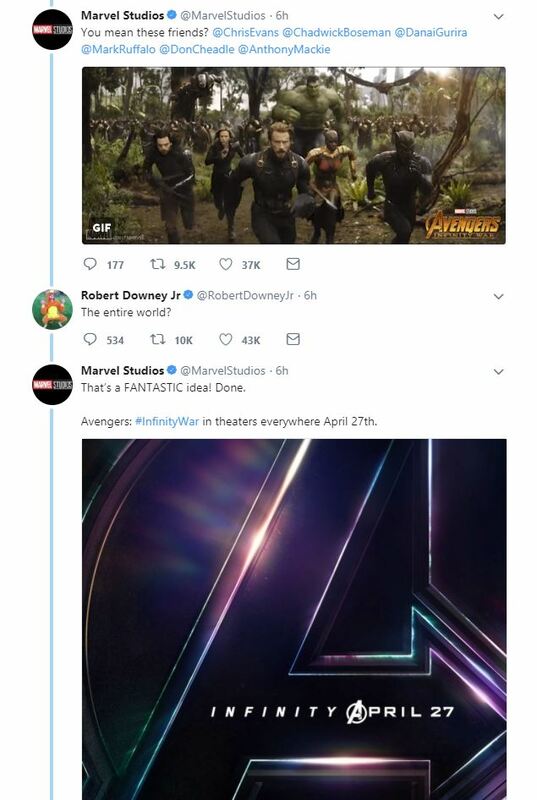 To everyone’s surpirse, Robert Downey Jr AKA Tony Stark / Iron Man himself replied saying if he can see it earlier. And as you all know… what Tony Stark wants, Tony Stark gets! Previous articleThese new Zoids Wild figures will make you want to buy ’em all! Next articleHorizon Zero Dawn is celebrating its first year with some PSN goodies after hitting 7.6 million copies sold, details inside!